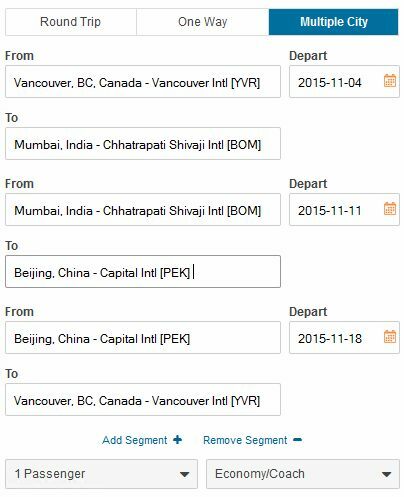 There are Vancouver to Mumbai, India (BOM) flights for $899 CAD roundtrip including taxes on Air China, with one stop each way in Beijing. The flights are pretty close to as fast as it can be done. India never seems to go on sale. It's also possible to visit both India *and* China (spending time in each country) for the same price. Yes, it's possible to get a free stopover in China on your way back home from India. A pretty great deal, considering Mumbai and Beijing are over 4,700km apart. This flight alone (Mumbai to Beijing) typically costs around $650 CAD ! 4. Now, in the *middle* set of boxes, the set we skipped, enter Mumbai, India (BOM) to Beijing, China (PEK). You'll need to decide what date to enter here, depending on how long you want to spend in India, and how long in China! 5. Hit 'Search Flights' and you should come up with a price of $899 CAD, including taxes, for all flights involved. 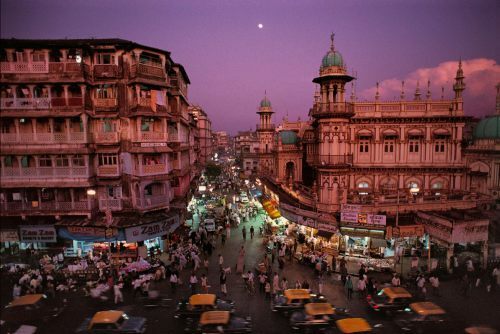 Where to stay in Mumbai or Beijing? The following AirBNB links will lead you to some great deals on places to stay in Mumbai or Beijing for under $65 CAD per night for 2 guests. 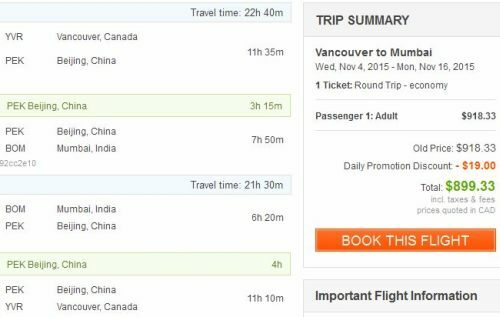 vancouver, yvr, flight deals, asia, east asia, beijing, china, pek, china airlines, mumbai, bombay, india, bom and south asia. 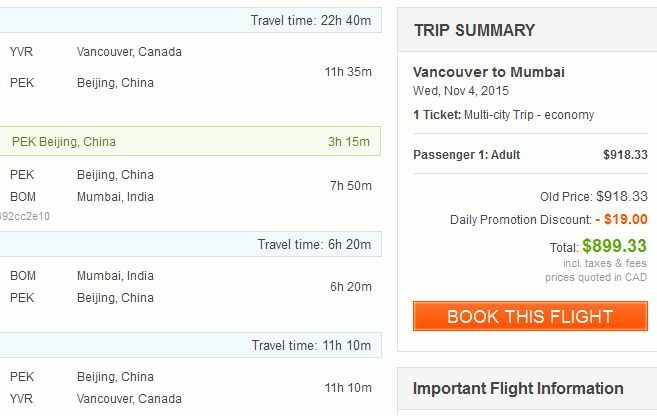 One Response to "Vancouver to Mumbai, India - $899 CAD roundtrip including taxes | free stopover in Beijing, China if you want"
I have family in Mumbai, so I travel this route fairly frequently. Prices from YVR have plummeted since Air China launch its non-stop flight from Beijing to Mumbai a couple months back. While $899 is a pretty hot price, I've noticed that this same route can now regularly be found for approx. $1100-$1200 (also on Air China). Quality-wise, I still prefer Korean, Cathay Pacific, or Lufthansa to Mumbai, but hopefully these new low prices will encourage more Vancouverites to look beyond Delhi when they consider India.